Toby is one of our first alpacas. She has been with us from the time she followed Jay around the farm where we purchased her. He fell in love with her and all the alpacas. 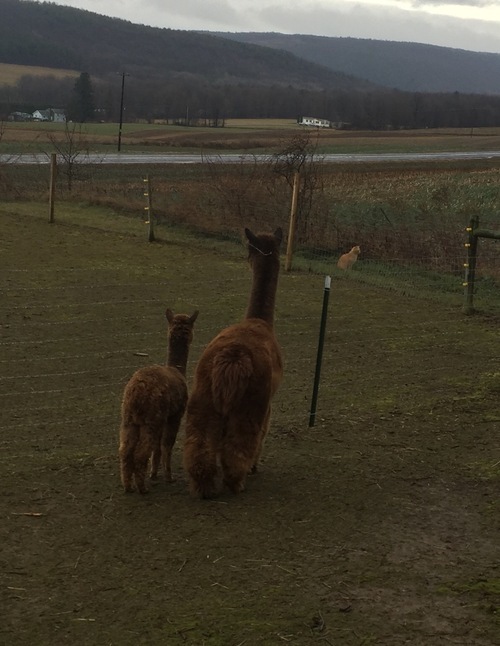 She has always been the grand dam to all the cria. Toby is now 16 and will live out her days loving life at Russell's. Bess is a solid female. 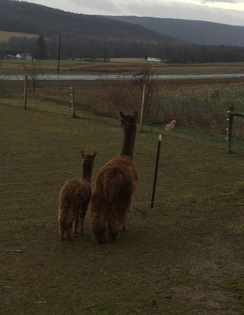 She is a great mother with lots of milk and loves to help all the other moms with watching over all the cria. She would be a great addition to your breeding program.